What Is the Best Way to Sell My House in Los Angeles? 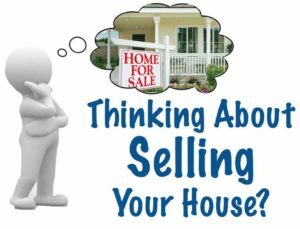 If you are thinking of putting your house up for sale, then you’re probably thinking what’s the best way to sell my house in Los Angeles, CA. There are generally only three ways to sell your Los Angeles home. You can either 1) list your house with an agent, 2) try to sell it yourself or 3) sell your house to a cash buyer. The method that is right for you will depend on your goals, needs and unique situation. This article will discuss each method in more detail to help you make a more informed decision. You don’t have a time urgency to sell. This can take 3 to 12 months, depending on your property, market conditions and location. You can pay 10% to 15% in costs which includes agent’s commission, holding costs, buyer concessions, escrow, title, repairs after inspection. If you are thinking “this might be the best way to sell my house in Los Angeles, then the first step is to find a good agent that you would like to work with and that you can trust. Many “newbie” agents come and go so make sure to do your homework and find an experienced professional. Don’t skip this step because the agent will require you to sign an agreement binding you exclusively to that agent for a period of time (commonly 6 months). If you don’t like the agent, then it may be difficult for you to cancel the contract. Next, you will need to prepare the house for sale. This includes removing all the clutter and personal belongings, deep cleaning the house, making necessary repairs, sprucing up the exterior to improve your “curb appeal,” staging the house so it’s appealing to buyers. You don’t have a time urgency to sell. FSBOs usually take the longest–3 to 12 months or longer to sell–depending on your property, market conditions, location and your skill. Your house is in great shape and shows well. You have some knowledge and expertise of the real estate process. You have time available to do all the necessary tasks to sell a house like: preparing the house to show, pricing it accurately, marketing it, showing it to buyers, negotiating with buyers, preparing all the paperwork etc. Have some skills with people and negotiation. You are a problem solver and don’t get discouraged easily. If you are thinking that this might be the best way to sell my house in Los Angeles, then the first step is to familiarize yourself with the whole process of selling a house. Also, make sure you know exactly what paperwork and disclosures are necessary. You need to sell quickly. You can close in as little as 10 days or on your timeline. They pay cash so you don’t have to wait for bank approval. Your house is not in great shape, needs repairs or doesn’t show well. You won’t have to repair, fix up or clean the place when you sell this way. You just want an easy hassle-free sale. This is definitely the easiest way to sell your house. You don’t have much free time available to spend on selling your house. You don’t need to get full retail price for your house. Cash buyers don’t pay retail but you will be saving a lot of money in repair, holding and closing costs. You have to run the numbers and see which method puts you ahead. Many homeowners ask “what is the best way to sell my house in Los Angeles.” There is not one method that is right for everyone. Each of the 3 methods above have their advantages and disadvantages. It’s important to look at your needs and unique situation to determine which method fits best for you. We hope this article will help you make a more informed decision. If you have any further questions, please don’t hesitate to contact us. We can also discuss if Solution Home Buyers is the right fit for your situation. Posted in Agent Vs Investor and tagged best way to sell my house in los angeles, should i hire a real estate agent to sell my home.